Here’s a popular mug from the Duo-Tone Bistro Collection. These promotional Duo Tone Bistro Collection Mugs will ensure that your promotional event is a memorable one. 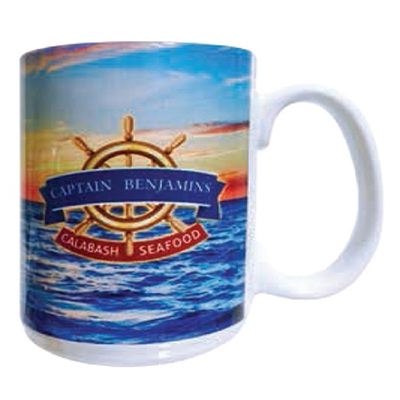 Featuring a vibrant colored exterior with a white interior, these mugs have an easy grip handle for better handling. Choose from the available eight colors. 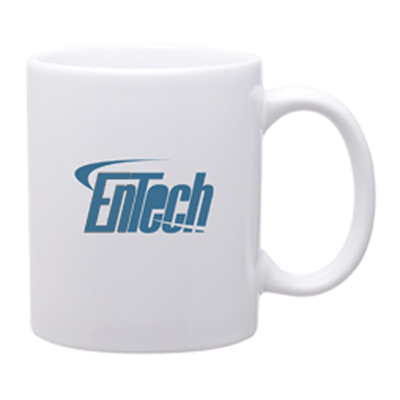 We are confident your recipients will be pleased to receive these mugs from you. They will use these mugs to drink their favorite beverages. 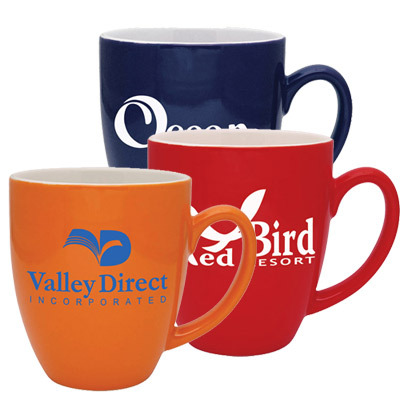 Your brand will be highlighted whenever they use these mugs. Order today! "I highly recommend this mug. It looks attractive and has ample space for the logo." 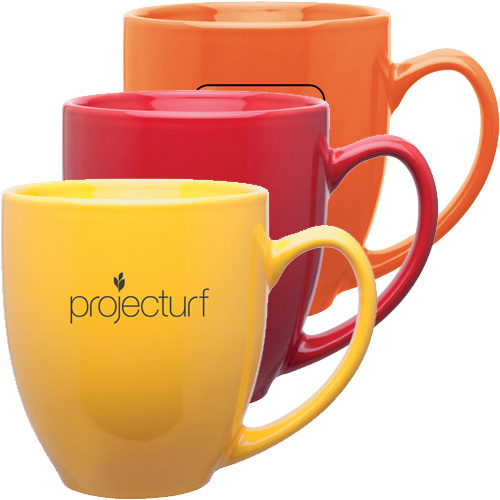 Vibrant color mugs with white interior!